Saturday’s HBO Boxing After Dark® tripleheader telecast begins at 9:45 p.m. ET/PT. Leading up to the main event is a 12-round super flyweight title bout between Donnie Nietes and Aston Palicte. The main event of the evening features Juan Francisco Estrada in a 12-round super flyweight matchup against Felipe Orucuta. 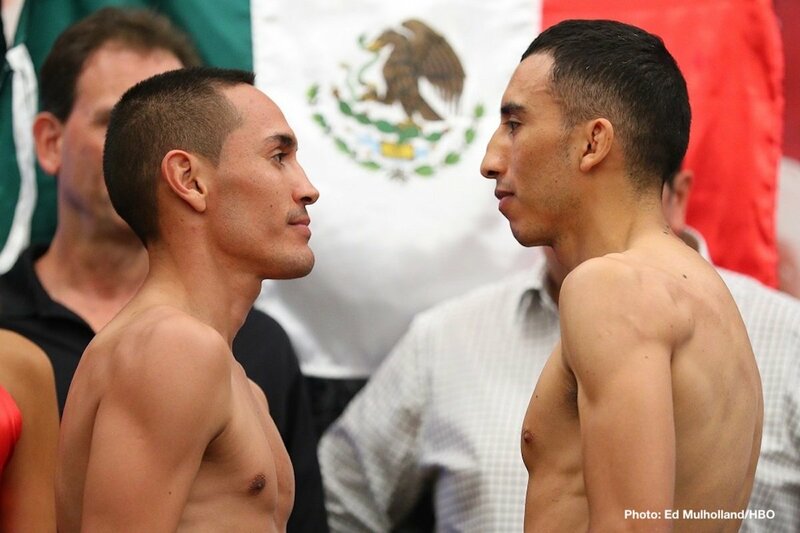 Juan Francisco Estrada: 114.4 lbs. Mc Williams Arroyo: 114.4 lbs. HBO Sports returns to the vibrant super flyweight ranks for the third time with the action-packed tripleheader HBO BOXING AFTER DARK: JUAN FRANCISCO ESTRADA VS. FELIPE ORUCUTA AND DONNIE NIETES VS. ASTON PALICTE AND KAZUTO IOKA VS. MCWILLIAMS ARROYO is seen SATURDAY, SEPT. 8 at 9:45 p.m. (ET/PT) from The Forum in Inglewood, Calif. The HBO Sports team will call all the action, which will be available in HDTV, closed-captioned for the hearing-impaired and presented in Spanish on HBO Latino. In 2017, HBO BOXING AFTER DARK spotlighted top-ranked 115-pound fighters in the tripleheader event “Superfly,” followed last February by “Superfly 2.” Now, “Superfly 3” continues the series in the boxing hotbed of southern California, one week before the sport’s biggest pay-per-view event of 2018, featuring Canelo Alvarez vs. Gennady “GGG” Golovkin. The main event pits Juan Francisco Estrada (36-3, 25 KOs) of Sonora, Mexico, the only fighter featured on all three “Superfly” cards, against Felipe Orucuta (36-4, 30 KOs) of Nicolás Romero, Mexico in a scheduled 12-round bout. Prior to “Superfly 2,” Estrada was on a ten-bout win streak; his majority decision loss to Srisaket Sor Rungvisai was considered fight of the year by many. Known for his power, Orucuta is a bantamweight moving up in weight to fight Estrada, and has a 75% knockout-to-win ratio. In the co-main event, four-time champion Donnie Nietes of Bacolod City, Philippines (41-1-4, 23 KOs) takes on fellow countryman Aston Palicte (24-2, 20 KOs) of Bago City in a scheduled 12-round title match. Moving up in weight to seek his fifth title, Nietes has recorded 31 wins and two draws in his last 33 bouts. Ten years younger than his opponent, Palicte brings youth and a 77% knockout-to-win ratio to the ring in his pursuit of the vacant title. 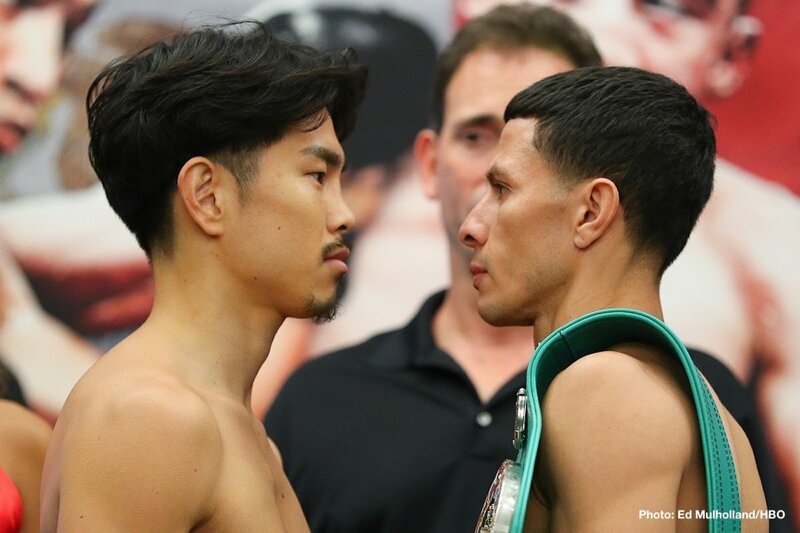 The evening opens with the American debut of Tokyo’s Kazuto Ioka (22-1, 13 KOs), taking on McWilliams Arroyo (17-3, 14 KOs) of Fajardo, Puerto Rico in a scheduled ten-round bout. With just one blemish on his record and successful flyweight title defenses on his resume, Ioka returns to the sport after a brief retirement last year. Making his second “Superfly” appearance, McWilliams Arroyo boasts a 70% knockout-to-win ratio; he suffered a hard-fought loss to world champion Roman “Chocolatito” Gonzalez in 2016. The executive producer of HBO Sports is Rick Bernstein; producer, Dave Harmon; director, Johnathan Evans.